Your Copyright Notice and Return Address, All In One! 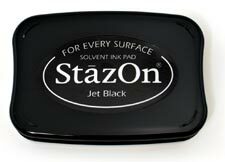 This custom, laser engraved rubber stamp has been designed with the photographer and visual artist in mind. the aesthetics of greeting cards, or other graphic mediums. It's great for use on postcards, too! on WCP-NM.COM). For more general information about inks, please refer to the link (below). Custom rubber stamps usually ship within 24 hours!